Three Dogs BBQ: BBQ in the Valley - Jamestown, NY. BBQ in the Valley - Jamestown, NY. 1. I'll take hot and humid over cold and rainy. 2. Mud has a knack for getting in places that you would never think it could. 3. 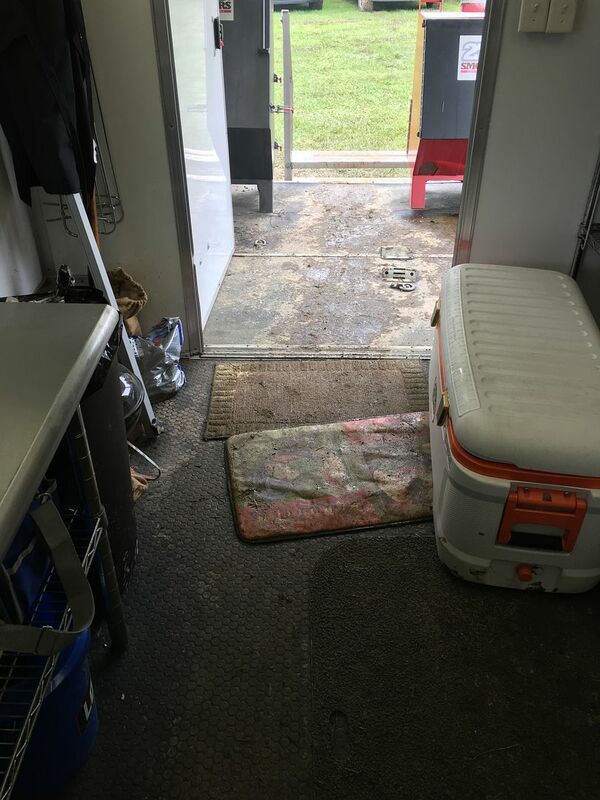 Disposable cutting boards make for a clean place to stand while changing your muddy clothes in a muddy trailer. Even George, who loves to come to BBQ competitions, was not having much fun. But, enough about the weather. Let's talk about the competition. 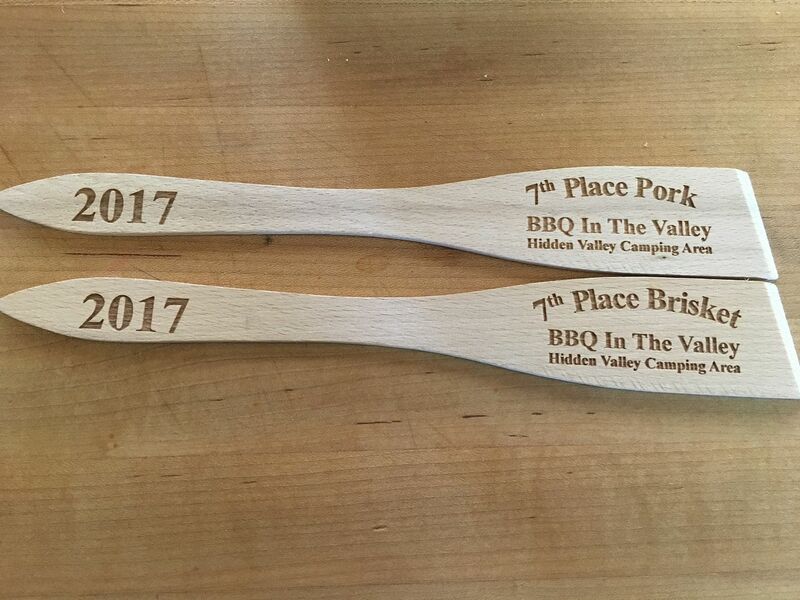 BBQ in the Valley was a first year competition organized by the fine folks at Hidden Valley Camping Area. I must say, you could not tell it was a first year competition. 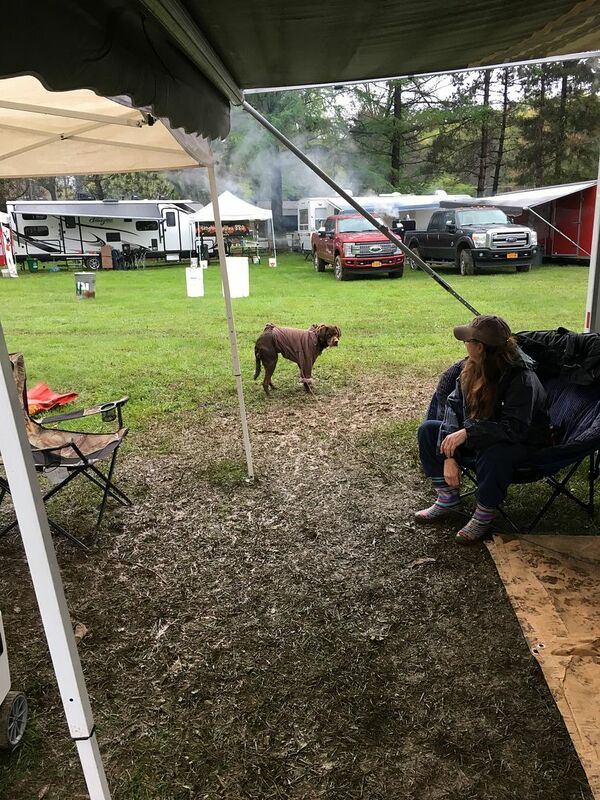 Everything ran smoothly, from the Cinco de Mayo pot luck, down to having the tractor ready to pull teams out of the muck when the competition was over. I do like dedicated electric and water as well. It will be hard to improve upon this year, but I am sure Bill and his staff are up to the task. As for our cook, we had another solid cook. 12th in chicken that could have been top 10 if not for the Table of Angels that slanted the results a bit, 13th in ribs (deserved), 7th in pork, and 7th in brisket add up to a 10th overall. 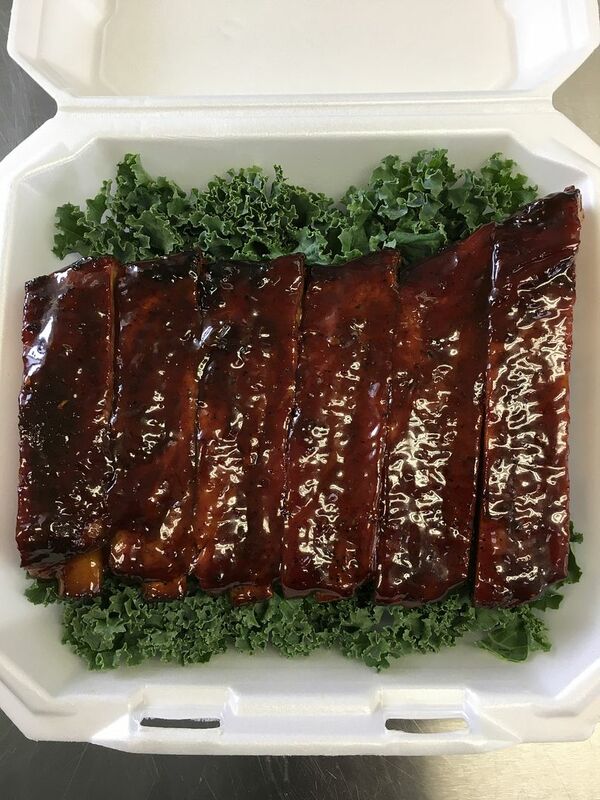 Time to soldier on, mop out the trailer, and get ready for the Salt City BBQ Festival next weekend in Syracuse, NY. See you there.